Marcus release a new Video dedicated to the Brr Street Bench. This obstacle is know in skateboarding for years and finally found its way into fingerboarding. I feel like the street bench looks amazing and Marcus told me that you can shreed them really nice. Probably this one will find a way into my home soon too. Kylie released a new Video called freedom + fisheye. She filmed this video with a borrowed fisheye. The footage looks really nice. Kylie always shows of her amazing talent in letting tricks look so clean. Definitely worth checking out in fullscreen. Marcus released some footage of a local fingerboard event in Bad Langensalza. Looks like a really chilled contest that everyone enjoyed. Always nice to see new Events for fingerboarders coming up. 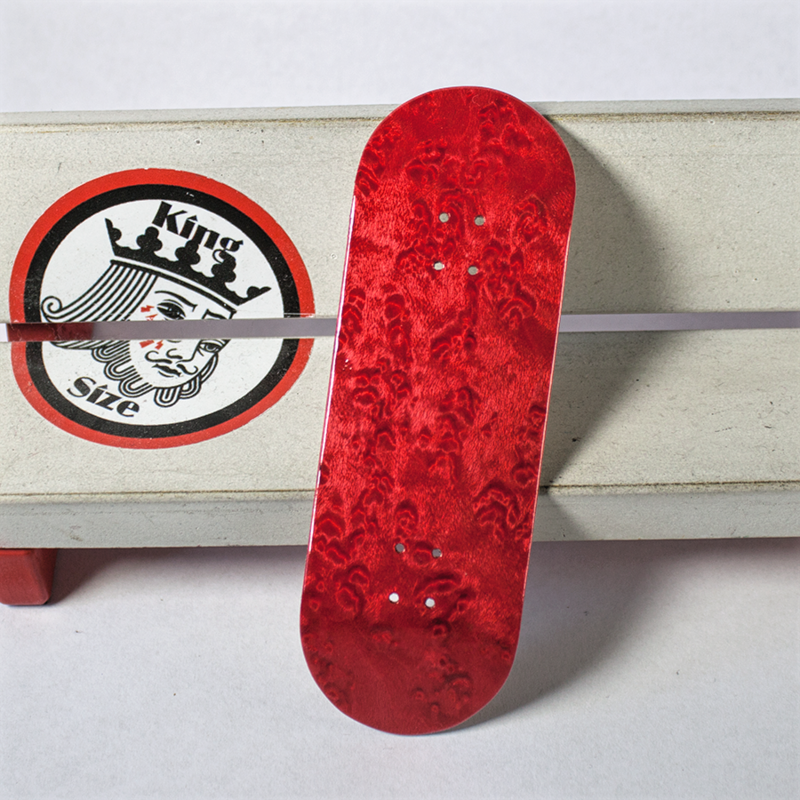 You want to join the King Size Fingerboard Team??? Send us a video shortly introducing yourself. We accapt tryouts from all over the world. The tricky part is that we want you to make a video with a “King” inside. How you use the King is up to you. Be creativ and surprise us. Your video should not be longer then 3-4 minutes. Marcus is back with a new video from his most famous series “Build a Spot”. Its the 11th version of this series and he got some friends to support him. Stolly got a part in the video that is really nice and Bunte help them guys filming everything. This time they build a hole plaza and it looks amazing. One of the best build spots Marcus got in his series. We don´t have a mention that these guys put out some amazing tricks and combos. Although the edit is really nice and color settings look perfect. Go check it out fullscreen and enjoy!!! Ronisha release a new video called “rainy day mini”. What to do better at a raining day then fingerboarding? Right for us fingerboarders probably one of the best ideas. Ronisha put out some amazing tricks with a cool edit. I always love how the videos look. Marcus released a new video dedicated to the end of this summer. A great edit with some amazing music from lana del ray. A lot of really nice tricks going down here. Together with the great edit this video is one of my favorite video ever from Marcus. I really like how he used some cuts from the music video. Go enjoy and fullscreen it !! !